Sign up and receive Property Email Alerts of Duplexes for sale in Villa Baroque, Carlswald. - 3 spacious bedrooms all of which are fitted with carpeted floors and fitted with built in cupboards, the master bedroom boasts a walk-in closet and a beautiful fully-tiled hotel style bathroom with a large walk-in shower and lighted mirror that complete the appeal of this suite and offers a private balcony. - 2 modern finished full bathrooms as well as a downstairs guest loo. The main bathroom is en-suite. - Sunlit spacious open plan TV lounge with tiled floors positioned off of the kitchen with sliding doors open up from the lounge onto the covered patio which overlooks the private garden. The patio is fitted with a built in braai. - The open plan dining area is positioned off the kitchen with porcelain tiles. In addition, the pyjama lounge/ family room is located on the first floor. - Neat Gourmet international kitchen, international and German Cabinetry with Caesar stone tops. The kitchen offers space for 2 under counter appliances and a double door fridge. The kitchen offers a center piece which has a built in wine cellar for up to 12 of your finest wines. - Double carport and the paved driveway allow parking for additional vehicles. - Small private wrap around garden which offers ample area for young children to play. - A practical storage room is located underneath the stairs. - The estate offers 24 Hour access control and patrolling guards. 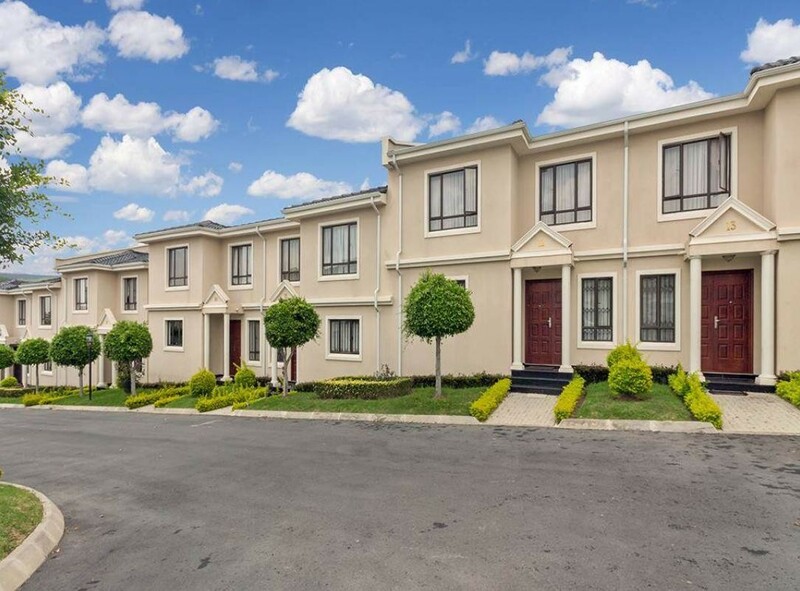 Sign-up and receive Property Email Alerts of Duplexes for sale in Villa Baroque, Carlswald.